Connecticut Car Wash’s Todd Whitehouse received the 2017 NRCC Most Distinguished Person award from CCA President Bob Rossini. 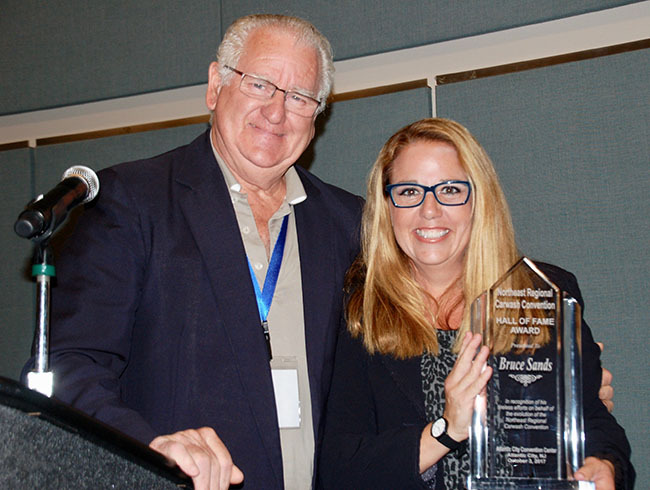 CCA Past President Alan Tracy presents Hope Klein with a posthumous Hall of Fame award on behalf of her dad Bruce Sands at the 2017 NRCC Award’s Luncheon on October 3. 2018 Kenneth M. Gustafson, Sr. Scholarship Award Winner! A Chilly 21st Annual Golf Classic Was a Hole in One! 19th Annual Golf Classic A Hole In One! The CCA Board is always looking for new board members and/or Committee Members. To learn about both opportunities call Suzanne at 800/287-6604. 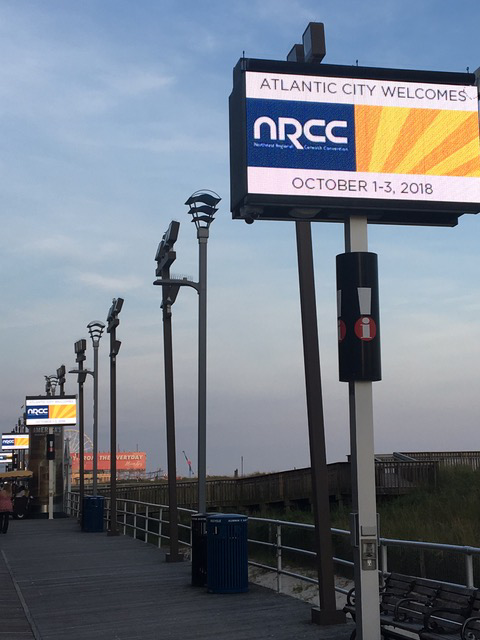 We also welcome you to attend a board meeting to see what we are working on! It’s always a good idea to try new things. I try to do that at my carwash and in my life. Recently, we tried something new at our Connecticut Carwash Association board meeting and I hope it is well received. Every association out there struggles with getting good board members. Every association out there struggles with providing great member benefits. The CCA board decided to invite several prospective board members to a meeting and at that meeting we had Dave Snyder and Mike Benmosche, with Carwash Insurance Program by McNeil, show us how their e-learning program works and what benefits it has for our members. We held the meeting at the Simoniz warehouse in Rocky Hill and had the meeting catered by a local restaurant. The group got a quick tour of the facility and was able to enjoy a nice meal and share our history and thoughts about the association with four prospective board members. After all, you really don’t know what we work on, what we are passionate about, unless you get a taste of it. From strategizing with our Lobbyist P.J. Cimini about the sales tax issue to a variety of other issues, the board works tirelessly for Connecticut carwashers. We wanted to share that and hopefully attract some new, younger blood to our board. Stay tuned! The Connecticut Car wash Association (CCA) is a member-driven association. It exists solely to serve members’ needs, protect members’ best interests, and to be responsive to members’ requests. The list of tangible CCA membership benefits is long (and growing), but the list of intangible benefits is even longer. Becoming a CCA member offers many member-only which range from discounted web site and insurance services to discounted electrical and credit card processing services. Become a member by signing up online or download a form to send or fax in! Signing up online gives you the benefit of access to member-only web site content. Renew your membership by renewing online or download a form to send or fax in! Renewing online gives you the benefit of access to member-only web site content. (L to R) Tony Setaro, Joe Tracy, Dwight Reed, Pete LaRoe, Todd Whitehouse, Bob Rossini, Mark Curtis, Paul Ferruolo and Alan Tracy. 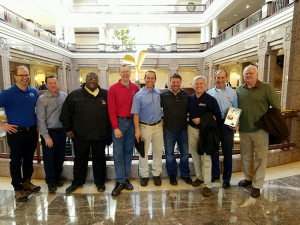 A number of our Legislative Committee members, as well as general members, met in Hartford on February 24 to plead our case for the removal of the sales tax on self service washes that was imposed in 2015. We spoke in front of the Finance, Revenue and Bonding Committee in support of S.B. 187, proposed by Senator Majority Leader Bob Duff, D-Norwalk, to repeal the tax. We received a lot of support from the bill’s sponsor as well as Committee Member Fred Camillo, R-Greenwich and Scott Frantz, R-Greenwich. Please read the article from the CT Newsjunkie!